UTV or Horseback riding tour? If you can't decide between one or the other, then this is the perfect adventure for you. We have created a COMBO, half of the tour on UTV and half on a Horse, one hour each. Ride the ATV on our exclusive and challenging route. 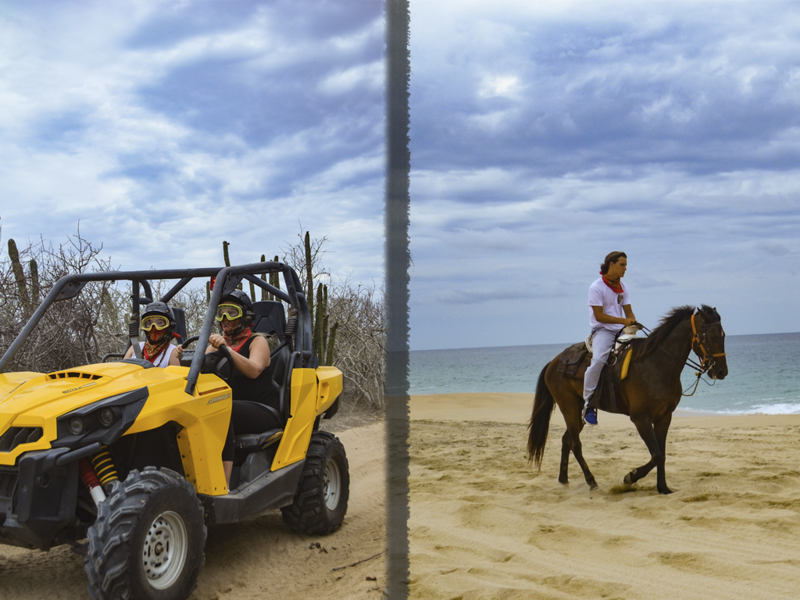 You will be able to admire desert landscapes, sand dunes, mountains, and gorgeous views of the Pacific Ocean. Exceptional adventure through desert trails on board of a Can Am 4x4 UTV, one hour ride approximately. After the UTV ride, get ready for a calm and relaxing trot on a well trained horse. Our cowboy will lead your way along the beach for an hour.